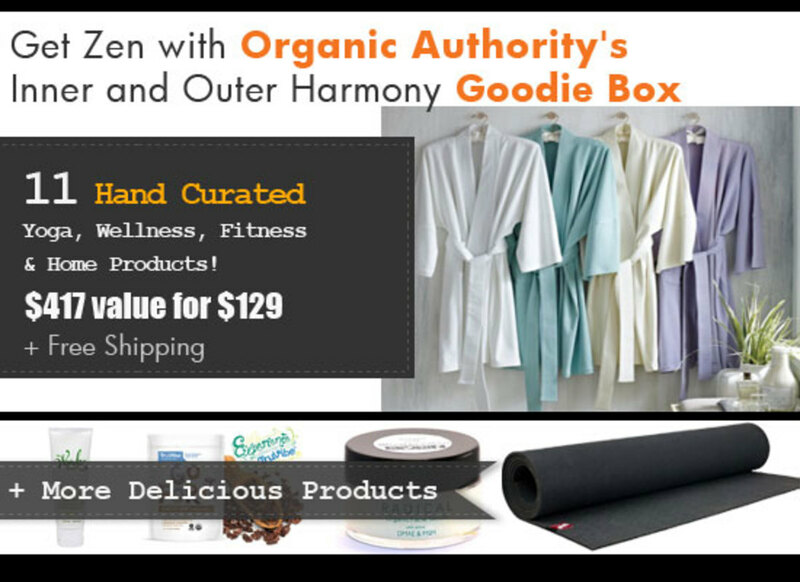 Get Zen with Organic Authority&apos;s Inner & Outer Harmony Goodie Box. Loaded with products from 11 different brands we think are the bee&apos;s knees. 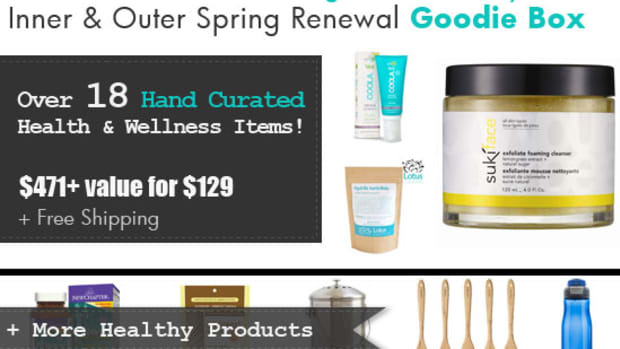 Harmonize your inner and outer worlds with the best in gotta-have-it natural eco-friendly beauty, wellness, yoga, fitness, and home products. 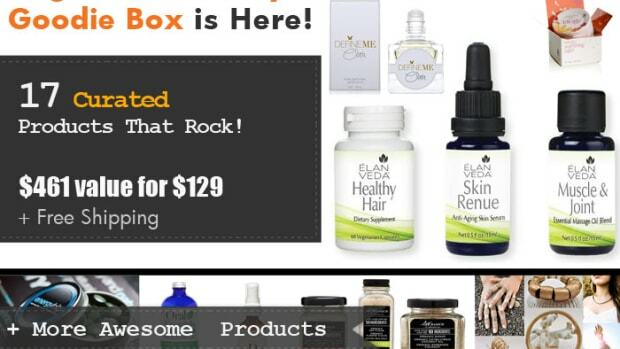 We have only 50 Goodie Boxes available, each filled with $417+ worth of products for the hot sale price of just $129.00 + free shipping! That&apos;s a 69% discount! Beginning Monday, August 18th, we will reveal four to five brands per day. 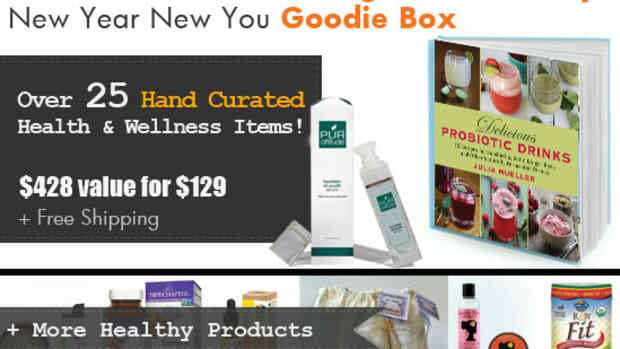 The Goodie Box will go on sale Thursday, August 21st, 2014 at 8 o&apos;clock am Pacific Time. Set your timers and mark your calendars--these will sell out fast. Buy one, two or three, for yourself and everyone who loves summer! This offer is only available to the first 50 buyers. Check back daily to see what the big reveals are. 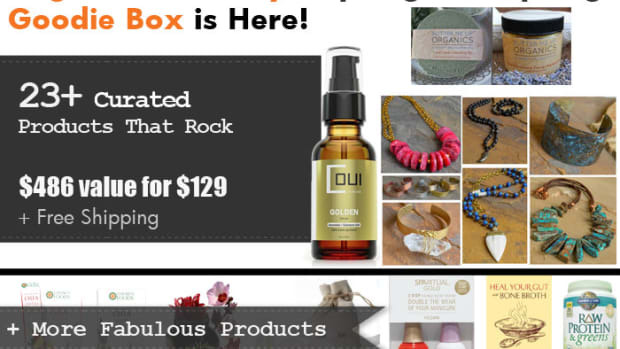 Read on to discover today&apos;s products. Inspire inner and outer balance with The Dragonfly™ Natural Rubber Performance Yoga Mat. 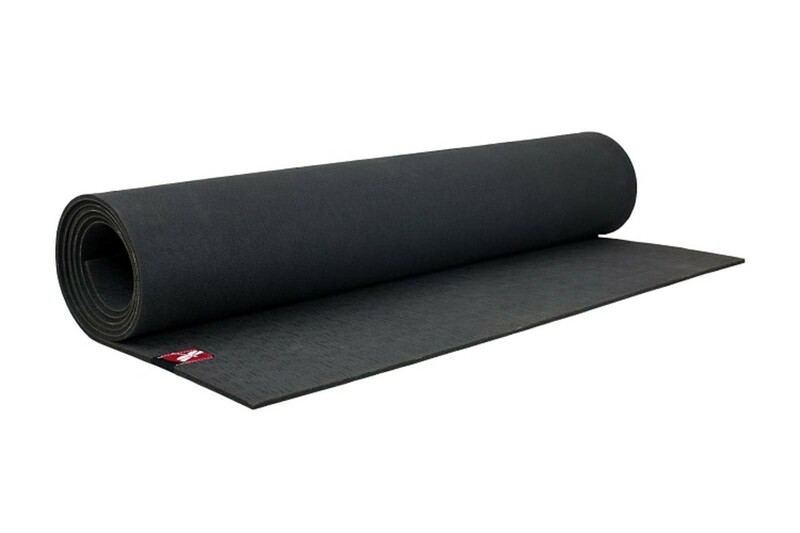 This mat provides the best of both worlds: eco-friendly materials and high-performance design, with everything professional yogis look for in a mat: extra thick and dense for added stability, comfort, and joint cushioning, plus an unwavering grip--no matter how sweaty your practice becomes. The low-maintenance Natural Rubber Performance Mat is made from natural tree rubber (non-toxic, biodegradable, recyclable, and PVC-free) and is closed cell, so it wicks away moisture and keeps bacteria at bay. Engineered for sustainability! 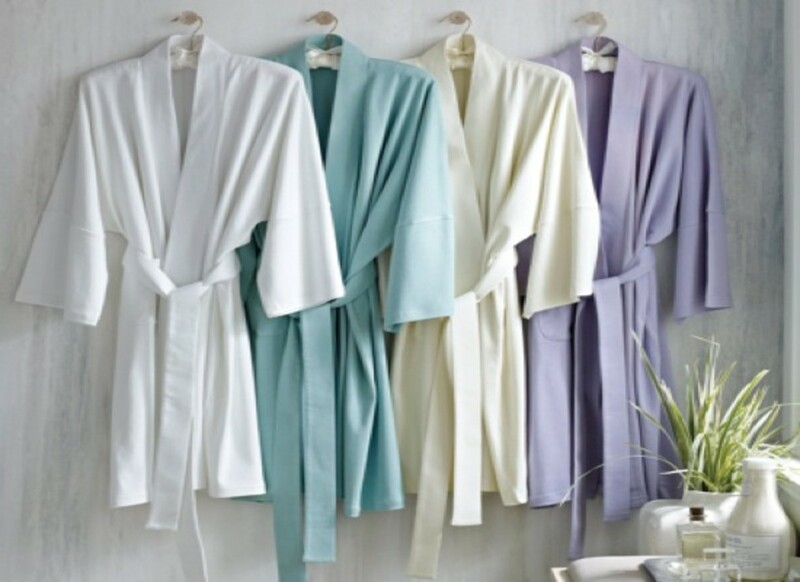 Bring the spa home with Under the Canopy&apos;s luxurious kimono-style robe. Relax and unwind in the line&apos;s signature 100% GOTS (Global Organic Textile Standard) and Fair Trade certified brushed organic cotton. Features a patch pocket and attached belt for your comfort. Under the Canopy prides itself on being "a place to indulge your senses while satisfying your soul." The line features authentic, affordable, innovative, sustainable textiles in modern styles that boast exceptional quality. This premiere organic lifestyle brand innovates eco-friendly apparel, home and hospitality collections by ECOFashion Pioneer, Marci Zaroff. Kimono Robe sizing: one size fits most: 41" length. Oeko Tex Certified. Color featured in Goodie Box: White. 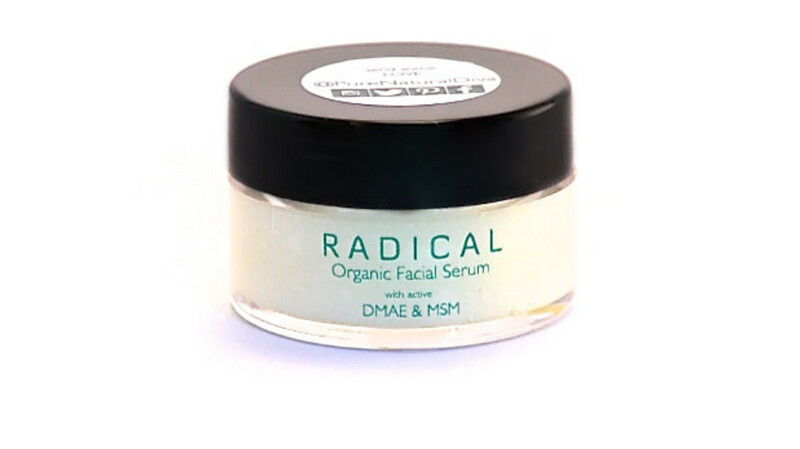 Pure Natural Diva&apos;s Radical Organic Facial Serum is superfood for your skin. The forumla is call "radical" because one of its feature ingredients, rooibos extract, contains a super enzyme that attacks free radicals. Rooibos and DMAE improve skin texture and firmness. DMAE, along with MSM provide highly effective anti-aging properties. Great for all skin types. Pair with a moisturizer for optimum results. The brainchild of eco-savvy lifestyle blogger Tania Reuben, Pure Natural Diva hand blends its products in a solar-powered Los Angeles facility with a fierce commitment to sustainable business practices, "safe scents" (chemical-free fragrances) and organics. 1/2 ounce. Balance and optimize your nutrient-intake with the first and only Liquid Multivitamin with Garden of Life&apos;s FoodStable™ one-hundred percent Whole Food Preservation System. 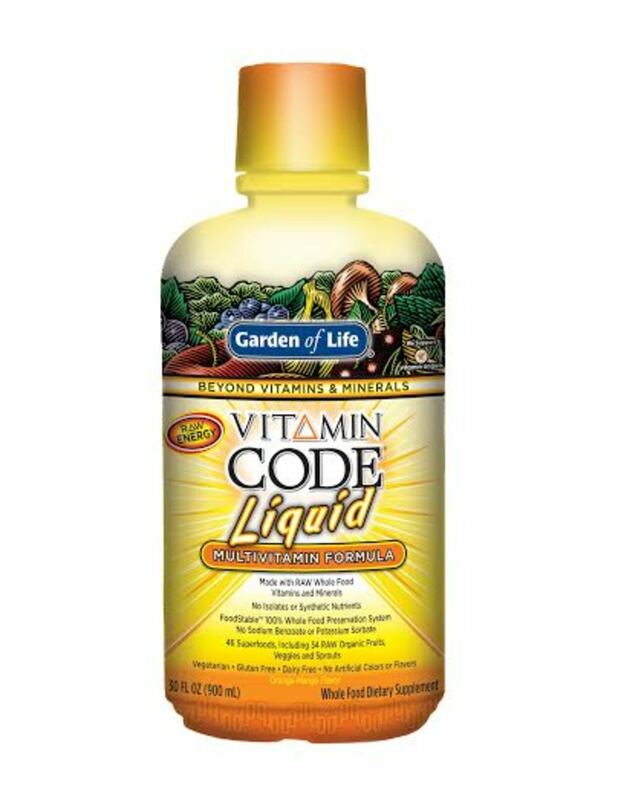 Vitamin Code® Liquid is made with RAW whole food vitamins and minerals and contains more than 45 superfoods including 35 RAW organic fruits, veggies and sprouts. No chemical preservatives. No sodium benzoate or potassium sorbate. No artificial colors or flavors. 100% RAW whole food vitamins and minerals—no isolates or synthetic nutrients. Vegetarian, gluten-free, dairy-free. Decompress and recalibrate, draped in a luxurious robe and pampered by The Phiten Eye Pillow. Manufactured exclusively by The Futon Shop, this innovative eye pillow is designed to help you experience relaxation like never before. Features a removable machine-washable dryer-safe organic cotton case infused with AQUA-TITANIUM®, the core of Phiten technology. Aqua Metals are broken down into microscopic particles then dispersed in water. Optional side straps help hold the pillow in place while sitting or lying on your side. The soothing and relaxing pressure of the loosely packed organic flax seeds gently caress your face, taking comfort to the next level. 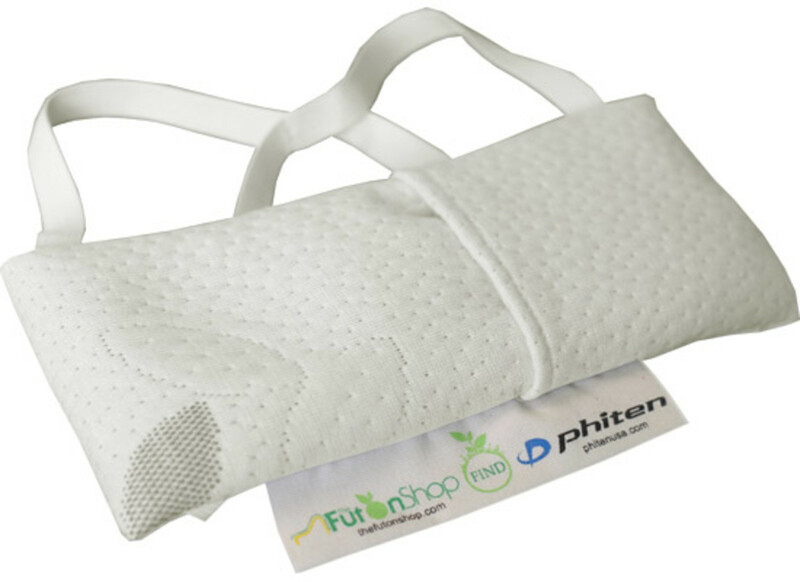 The Phiten Eye Pillow is ideal for use while meditating, napping, or right before bedtime. The optional straps allow this eye pillow to double as a sleep mask. Ideal for use at home or while traveling. Unscented. 8” L x 4” W, 6.4 oz organic flax seeds. 100% black silk case. Provide your body and mind with nutrient-dense pleasure. TruVibe Organics&apos;s raw organic cacao nibs come from de-husking or peeling whole cacao beans and then crumbling them into nibs. Sourced directly from small farms in Peru, these nibs are made from the Criollo variety of beans. Criollo, the rarest and most expensive cacao in the world, is to chocolate what the fine Arabica bean is to coffee. Cacao&apos;s scientific name, Theobroma, literally means "food of the Gods." Central and South American cultures have enjoyed cacao for thousands of years. Both the ancient Maya and Aztec tribes used the cacao beans themselves as currency. 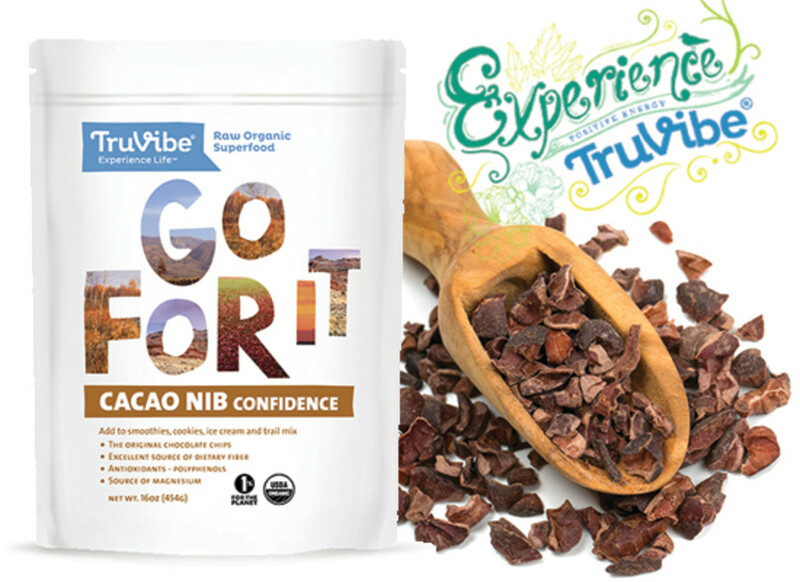 TruVibe&apos;s cacao nibs are an excellent source of fiber, antioxidants, vitamins, magnesium and other minerals. Nibs make an excellent addition to cookies as they are "nature&apos;s original" or authentic chocolate chips. They can also be eaten right out of the bag or added to smoothies, desserts, trail mix, or ice cream. Two 8 oz bags. 16 oz total. Experience emotional uplift with St John&apos;s Force. Research has shown the phytonutrients "hyperforin," "hypericins" and other compounds found in whole St. John&apos;s Wort provide positive emotional health support. “Side benefits” include healthy mood and sleep support. * New Chapter’s full-spectrum process extracts this precious plant’s compounds to preserve Nature’s full complexity, delivering a super-pure, super-potent herbal extract. While many companies isolate elements from an herb, concentrate them, and label it "whole herb," New Chapter delivers the wisdom of whole food. Using only natural supercritical CO2, or traditional extraction techniques, New Chapter&apos;s Force extracts guarantee the fullest spectrum of beneficial phytonutrients in their natural profile. 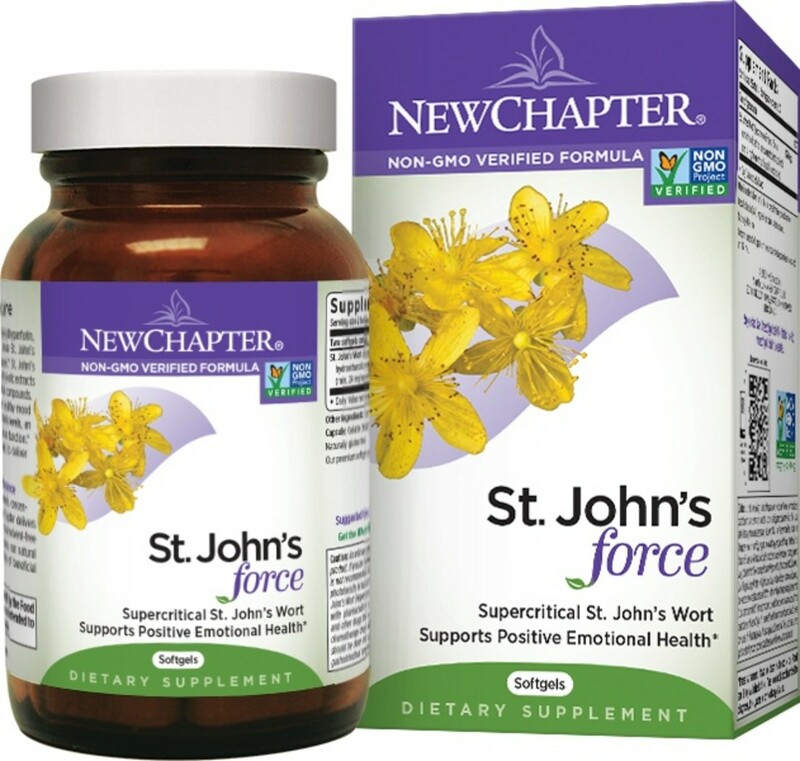 New Chapter&apos;s St. John&apos;s Force includes supercritical St. John&apos;s Wort to support positive emotional health. * All New Chapter&apos;s formulations, including St. John&apos;s Force, have been verified by the Non-GMO Project. 60 count. Harmonize your skin with MelanSol’s Natural Moisturizer. Made from all-natural and organic ingredients, so it&apos;s perfect for skin that is sensitive, dry, cracked or damaged. Too many lotions and moisturizers on the shelves today contain nasty chemicals that do more harm than good to your skin. With MelanSol, you only getting the best certified 100% natural ingredients to ensure healthy and radiant skin, day in and day out. MelanSol Natural Moisturizer hydrates and conditions your skin, making it soft and smooth, while rejuvenating the skin cells. It protects your skin from early skin-aging with a bio-active complex of antioxidants that efficiently neutralize free radicals before they can damage your skin cells. MelanSol Moisturizer is also gluten-free, cruelty-free, with a recyclable tube. Great for your skin, great for the environment. Talk about a win-win! 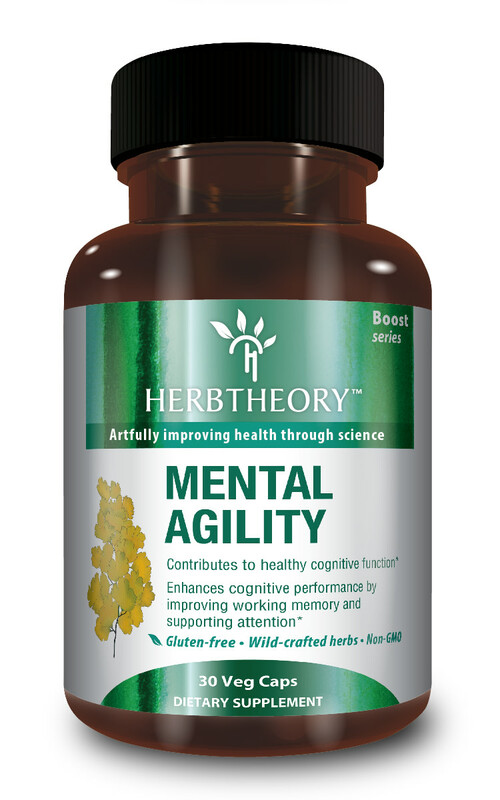 Nurture inner harmony with Herbtheory&apos;s Mental Agility. This potent product enhances healthy cognitive function and performance by improving working memory and supporting attention. The multiple-ingredient formula is based on Traditional Chinese Medicine; when combined, these ingredients produce a “synergistic effect” that will give you more benefits than taking individual herbs or supplements alone. With the East-meets-West philosophy and Western science in mind, this time-tested formula is a natural and synergistic product. Enjoy fresh scents, whether on your body, in your closet, or the clothes on your back, whether you&apos;re at home, in the gym, or on the field. 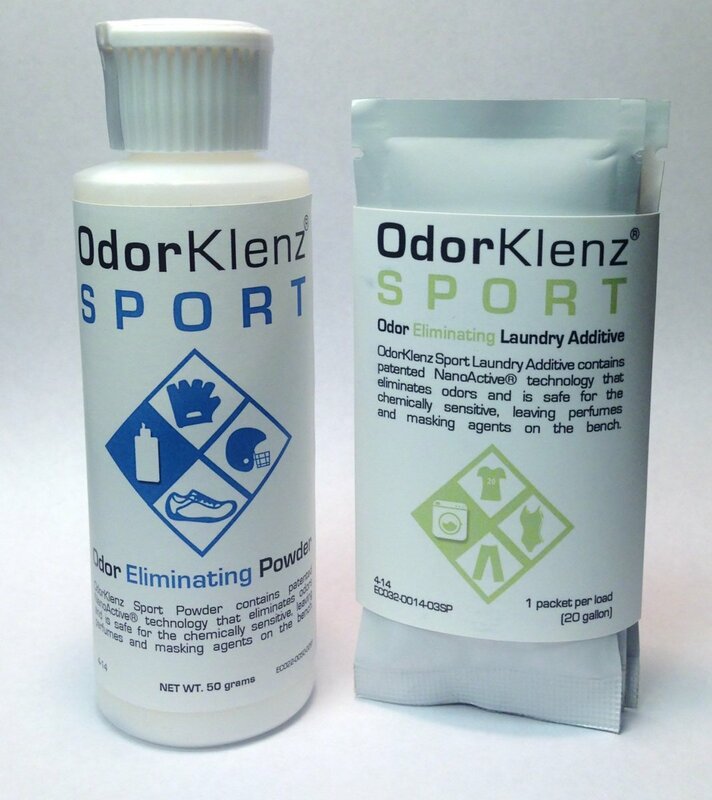 OdorKlenz Sport products utilize technologies that capture, destroy, and remove offending odor sources safely and effectively. The line contains no masking agents or alcohol, are non-bleaching and non-staining, making them ideal for athletic uniforms and apparel. The powerful Sport Travel Laundry Detergent cleans--naturally. The Sport Athletic Powder works like a charm on athletic equipment that can&apos;t be conventionally washed, solving the issue of sweaty pads, braces, helmets, shoes, and other athletic equipment. The Powder also eliminates foot odor and sports odors associated with athletic performance--using just a thin even coating in shoes, knee pads, ankle guards, helmet, shoulder pads, gloves, shin guards, knee braces, and all the other equipment you get funky in. Flip-top dispenser makes application easy. OdorKlenz&apos;s patented technology is safe for the chemically sensitive, leaving perfumes and masking agents on the bench. BONUS! Discount for all Organic Authority Readers!Get $5 off any online purchase from OdorKlenz. Just enter promo code ORGANIC1. Promotion good through 12/31/14. May be used for multiple purchases. 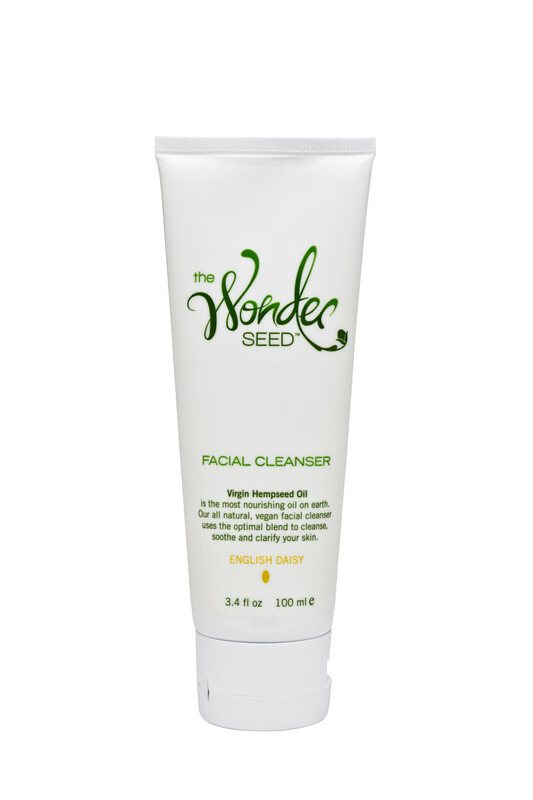 Soothe and purify skin with The Wonder Seed&apos;s hemp seed oil Facial Cleanser. Perfect for all skin types to remove impurities, heal inflammation and hydrate the skin while cleansing. This formula balances your natural oil profile, for a clean, fresh look. Scientifically proven as an all around healing agent, hemp seed oil can help relieve skin issues like acne, rosacea, eczema, and psoriasis. Easily absorbed by the skin, hemp seed oil is one of the world&apos;s richest sources of essential fatty acids (EFAs). This mildly foaming gel cleanser tingles as it cleanses, leaving skin feeling clean without feeling tight or stripped. No matter what your skin needs, this nutritious cleanser will please. Sale Price: $129.00 + free shipping! That&apos;s a 69% discount! 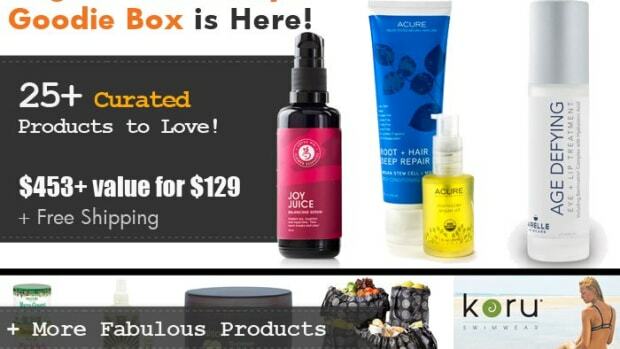 Offer good anywhere in the continental U.S. International shipping is not available at this time. Buy, one, two, or three boxes! Please allow up to three weeks for delivery. All sales are final. 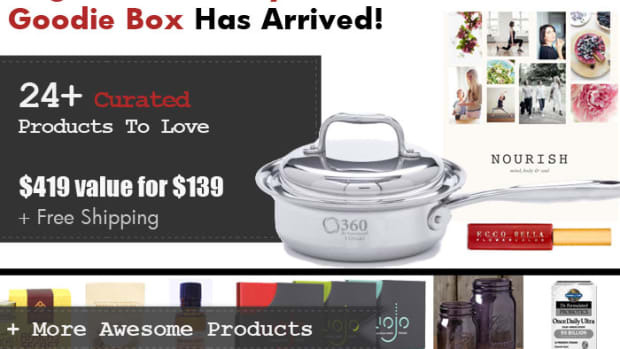 Due to the nature of this exclusive one-time sale, we cannot accept any returns or exchanges. Any inquiries or concerns regarding purchased Goodie Boxes must be submitted via Customer Service within 30 days from date of purchase.